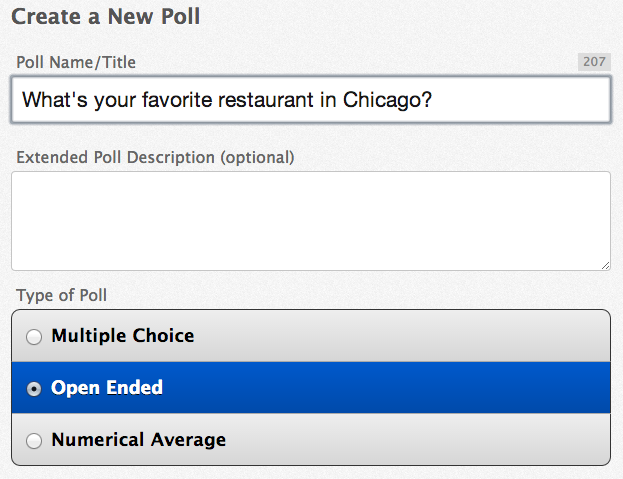 Enter the title or question for your Poll and choose 'Open Ended' as your poll type. Next, choose the format in which you would like to display the results. 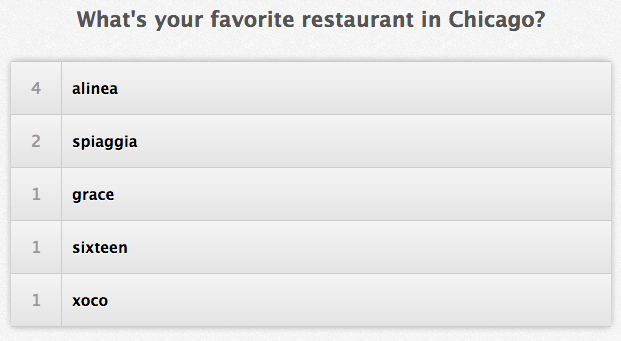 Then choose if you want the results to be displayed on attendee's devices, or not... and click "Create". If you chose to display results in the "Cloud" view, audience members' responses will be displayed in alphabetical order. Duplicate responses will increase in font size and color to represent the popularity of those responses. If you chose to display results in the "List" view, audience members' responses will appear as a list. The list of responses will be in alphabetical order and duplicate responses will be merged -- denoted by the # to the left of each response.